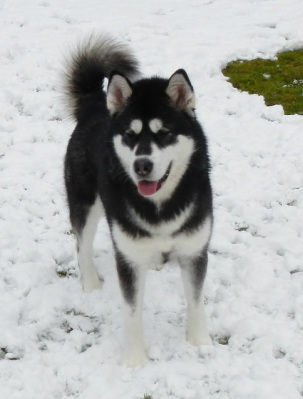 Karma came to us from Toolik Alaskan Malamutes in Germany. 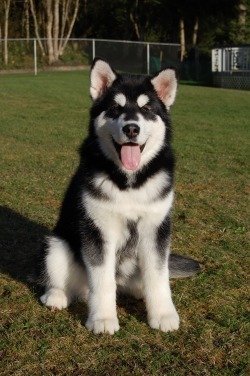 Her mother is Indy's litter sister Sonho and her father is the handsome Rasta from the Czech Republic. 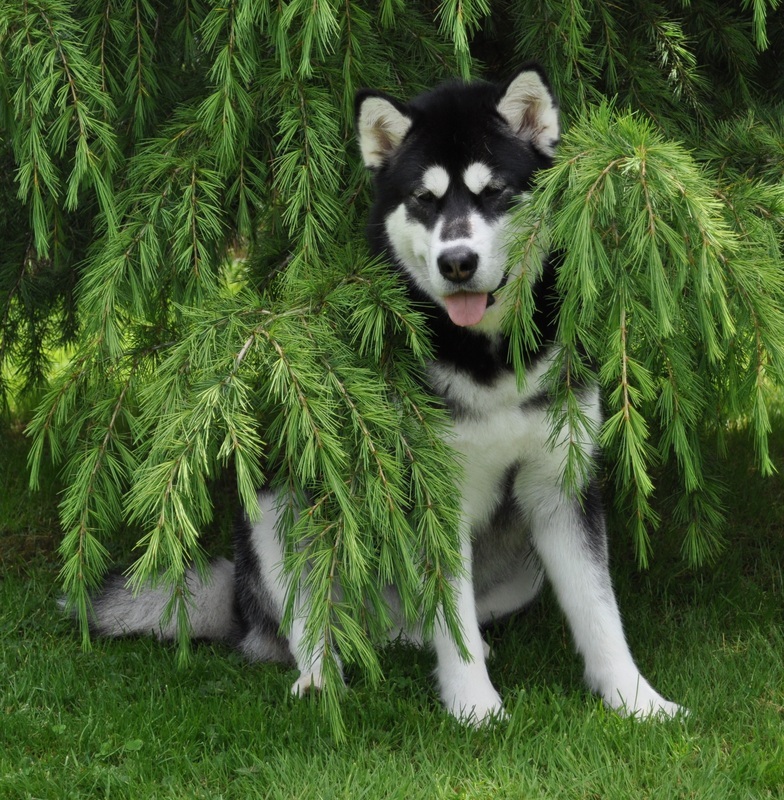 A big thank you to Josefine Munke for sharing this lovely girl with us! 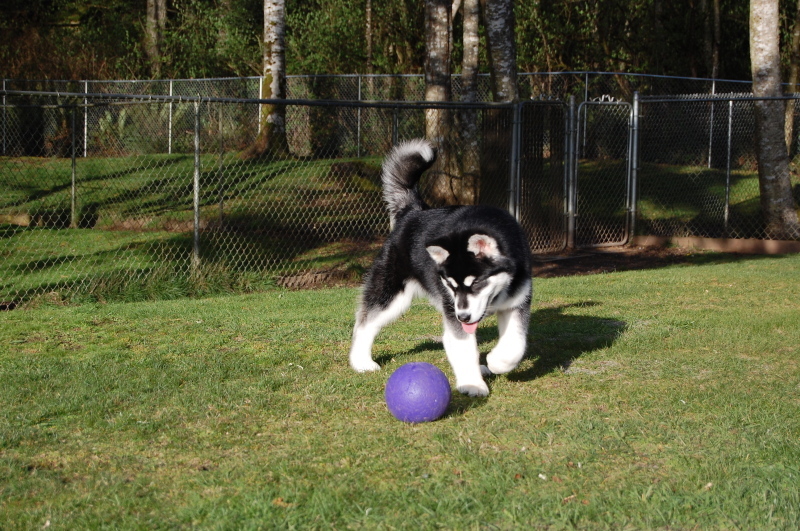 Karma is the "wild child" of the pack and is keeping everyone on their toes! But there is also a soft side to her that you can't resist when she looks at you with her heart-melting dark brown eyes. Always happy, she is a very intelligent girl ready to take on the world! 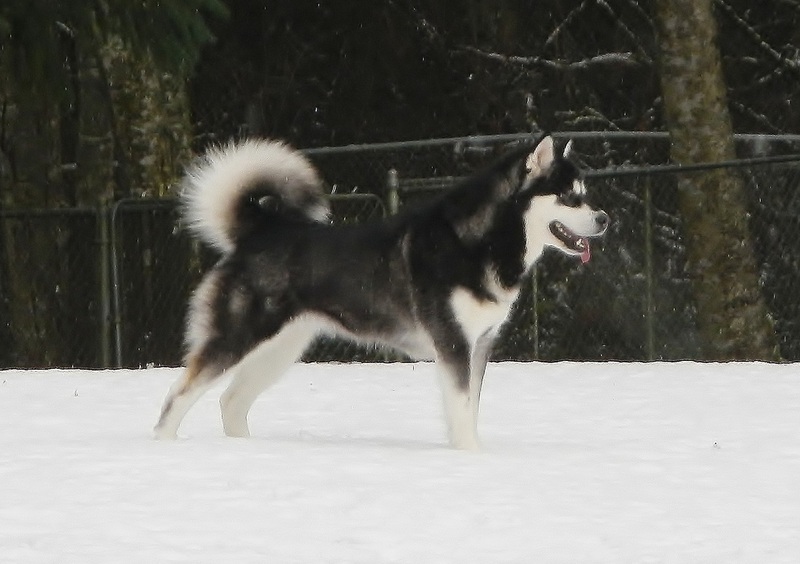 We are excited at what the future holds for Karma as well as her contributions to our breeding program. 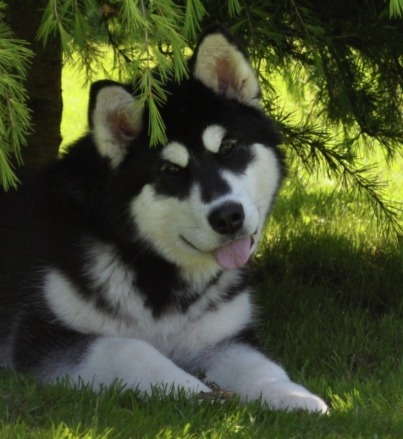 She brings "new blood" to our program that builds on the lovely breed type, wonderful temperaments and exceptional health that we have been selecting for. Karma's show career started off very nicely! 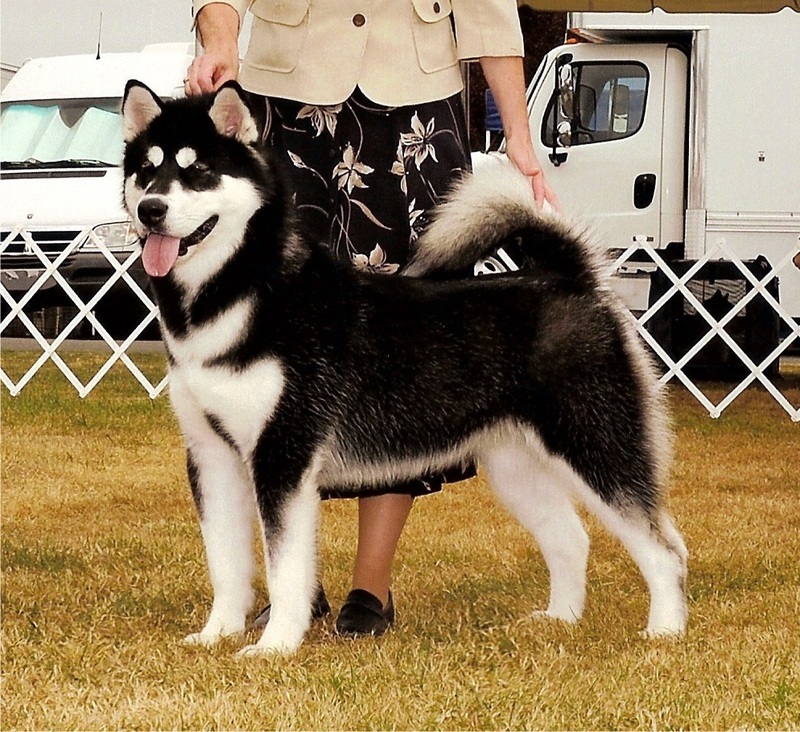 She finished the puppy classes with a Best In Match, a Best Puppy in Sweepstakes and she earned 11 pts, including a major, toward her AKC Championship! 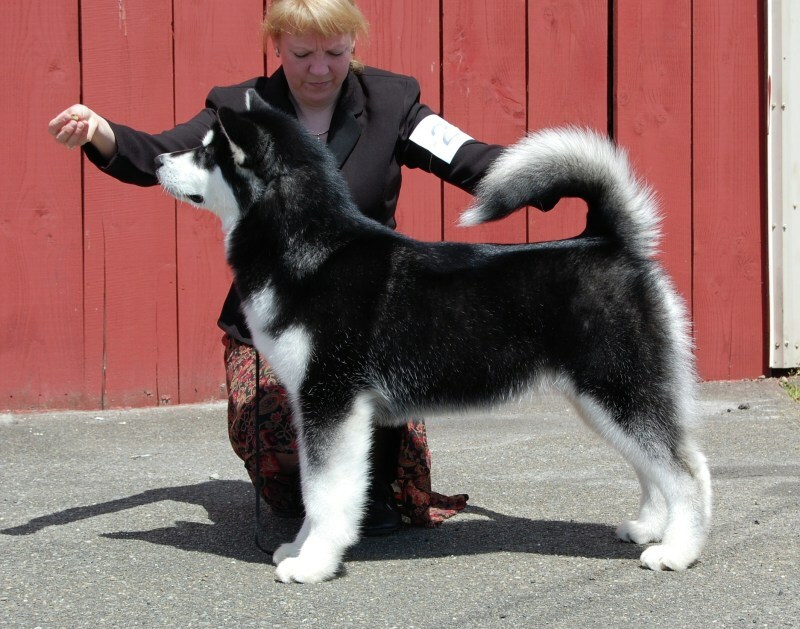 She finished 2010 as AMCA's #2 Puppy Girl (she missed 1st place by 1 point! 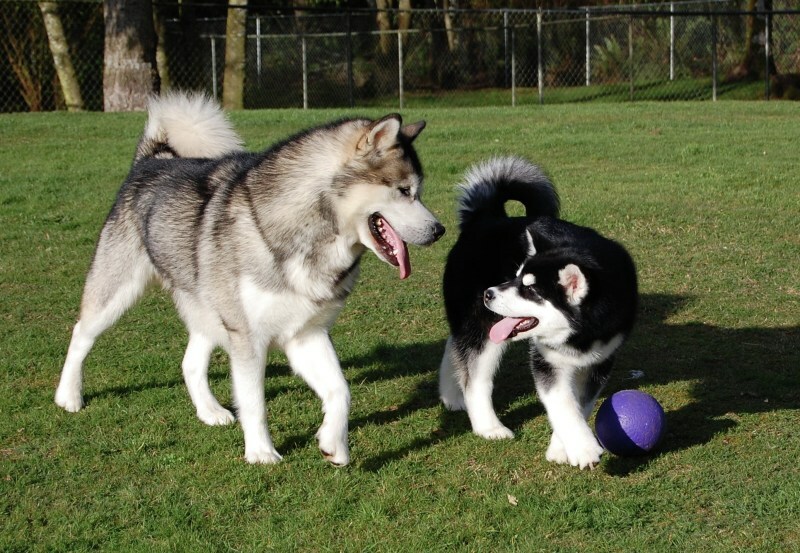 ), #5 Puppy overall and #1 PNW puppy! 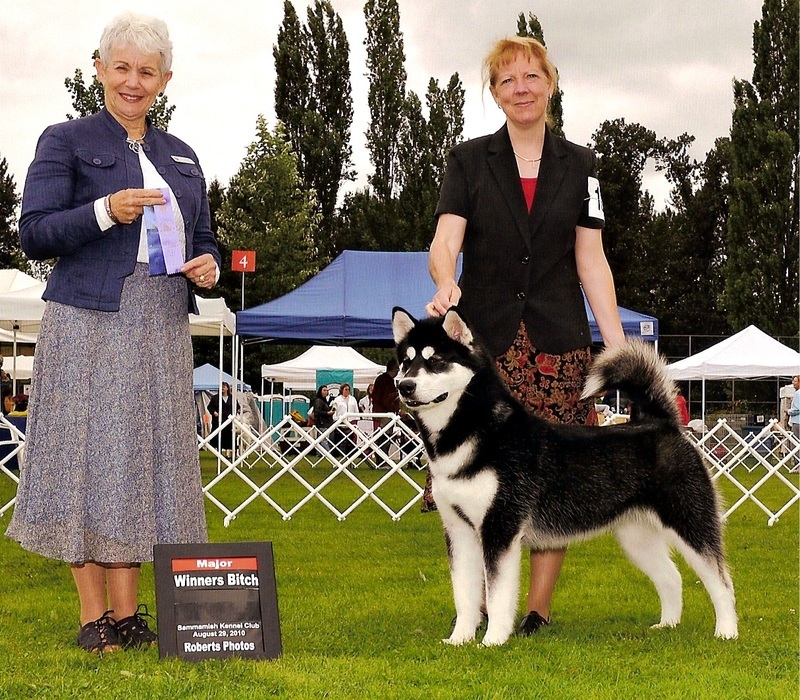 Karma finished her AKC championship in just a few shows in 2011. 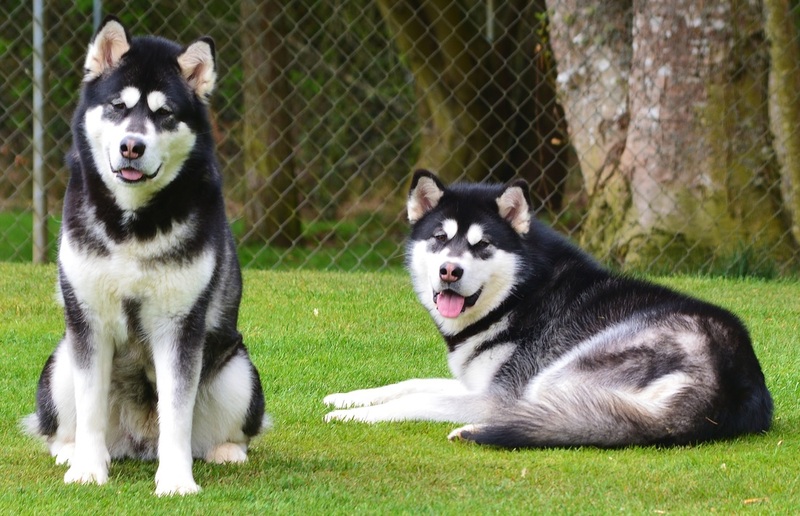 In 2012 Karma presented us with a beautiful litter of 8 puppies and daughter Mia joined our pack! 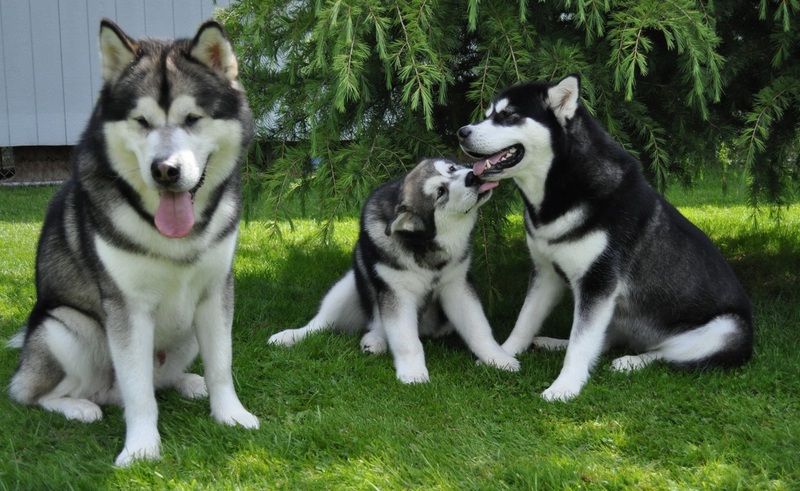 Karma and her daughter enjoy spending time with uncle Indy and Indy's son Bodhi!